Envision Flooring is the commercial flooring division of Envision. Envision Flooring is a client and referral driven Commerical Flooring Company with over 55 years of experience. 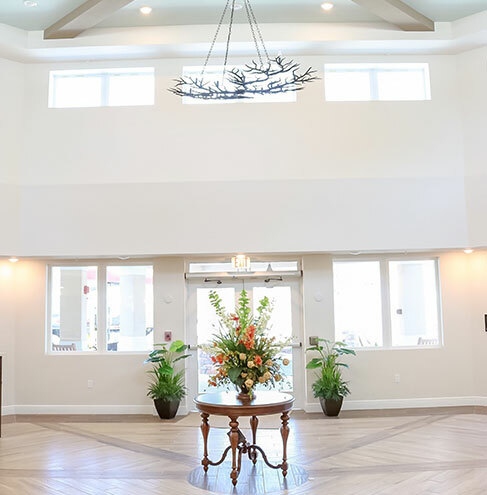 Since officially launching in 2009, Envision Flooring has participated in several projects that include commercial buildings, restaurants, schools, medical centers, custom commercial renovations, warehouse facilities and much more. One of the elements that set Envision Flooring apart is our ability to self-perform our work. This is important for project consistency and control and is also valued by our customers. Because we invest time and resources in training, educating and certifying our own, we can provide to our clients consistent, quality service that is unmatched. Envision Flooring is 100% Minority owned and is M.B.E. & D.B.E certified. We have a true passion for helping the city and state in which we have lived our entire lives and are actively involved in our community. We care about the safety. We take measures to ensure that our team members know our safety protocol and are equipped to adhere to it, to provide a safe environment for all. We believe that as we grow, it is our responsibility to reach out and grow others as well. GOD has blessed us to be a blessing to others. Envision Flooring is the flooring division for Envision Construction Services. We provide unmatched commercial flooring services to our customers. Our dedicated in-house labor crews ensure that we can always follow through on a project with consistency and accuracy.